Wicall’s Santa Clarita Carpet Blowout! Get the biggest bang for your buck at Wicall’s Carpets and Flooring Santa Clarita 51 Years Service. Give your home the style it deserves with the allow us to help rejuvenate your chateau with our impeccable selection of new carpets & flooring. Check out our Beautiful Hardwood Flooring and Planking options as well. 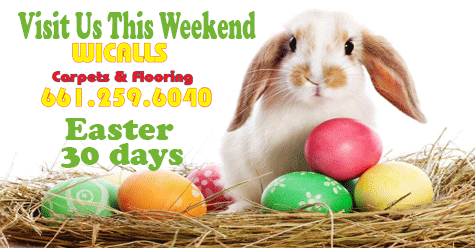 Wicall’s Carpets & Flooring can have your home looking great when company drops in for Easter. In addition to Hardwood Flooring we also have an incredible selection of Vinyl Planking (this years hot ticket), Area Rugs and much more! 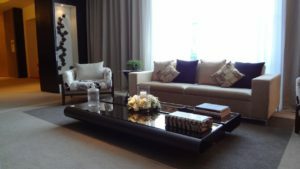 Call or stop in to see our latest carpet clearance sales or schedule a complimentary in-home design consultation today! Call 661-259-6040 for more info, or stop in to see our latest carpet clearance sales or schedule a complimentary in-home design consultation today!